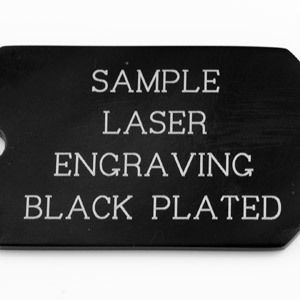 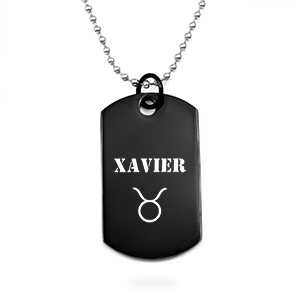 This black steel custom dog tag can be custom engraved with a variety of styles and fonts. 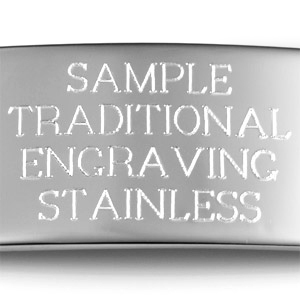 For something extra special, add a custom graphic. 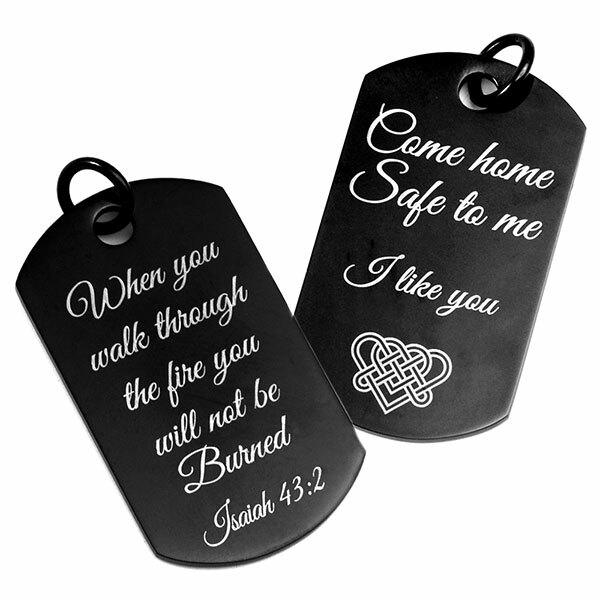 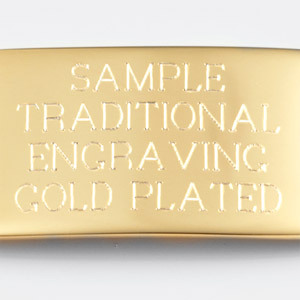 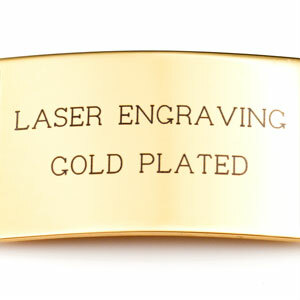 With good reason, this is one of our most popular engraved necklaces! 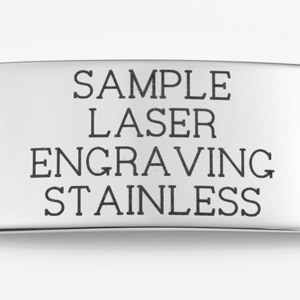 Up to 6 lines of 17 characters each, including spaces!